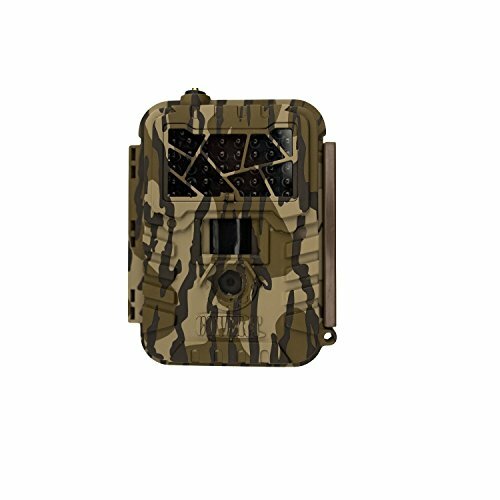 As the trend in the technology industry arises, trail cameras also produced different its different types depending on the user’s needs. 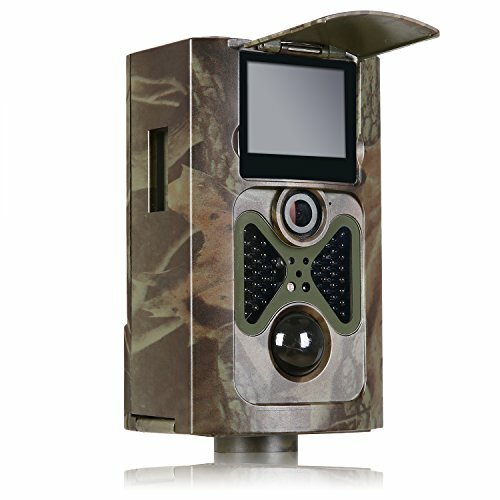 One of the in-demand kind of trail camera is the wireless or also known as the cellular camera. It can transmit images and videos to the user’s mobile phone or email. The best wireless trail cameras have different features to offer. These cameras are user-friendly and convenient to what the users are searching for. The best wireless trail camera also provides surveillance in the home security system. Listed below are the best wireless camera with the qualities and attributes that best suits your needs for documentation. This wireless trail camera delivers the pictures taken to wherever your smartphone is with its hunt-proven features. It captures a high -quality images through the 14.0-megapixel image resolution and records video with 1280 x 720 HD video quality. It assures you to have an excellent variety of pictures and videos because of its day and night auto sensor. The 14MP is also for tack-sharp clarity, and its working global positioning system sends you daily location updates. The camera has a wide range of sensor with 60 feet and gives you pictures with 48 no-glow black LEDs. The time-lapse feature of the camera snaps images at an interval of one minute to one hour within the time of choice. You also have the chance to monitor the dusk and dawn movement with two available time slots. 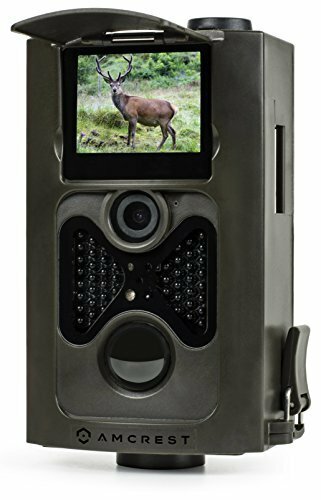 The wireless connectivity of this trophy trail camera uses the cloud for you to upload images to the location you have chosen in the settings. The Bushnell Trophy Wireless Trail Camera has a trigger speed as fast as lightning with 0.3 seconds. You will not miss any footage or happenings within the detection range. It captures 1-3 images per trigger. The PIR sensor of this camera is adjustable from low, medium, high, or auto PIR. It gives you the opportunity to manage the camera settings via your computer or smartphone; this is through the premium command and control. This camera has a weatherproof feature for its exterior that can withstand steady rain or snow. It has a slot for SD memory card and runs up to three months on one set of batteries in the field. The camera sends images wherever your smartphone is. This camera provides you free iOs and android application. It offers two slots for field scan. The camera’s battery lasts for only three months. It is not protected with a password. The multi-shot feature only produces up to three images per trigger. 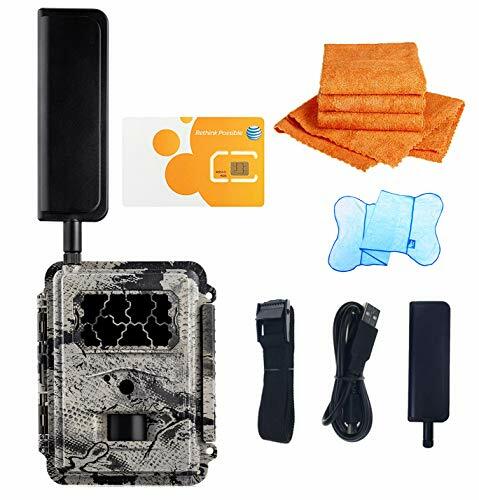 The Boly MG983G Wireless Trail Camera uses a cellular sim card to transmit photos and videos to any smartphone or email efficiently. It gives you the convenience to view the pictures on the spot with its 3 inches built-in colored LCD. This wireless camera offers 30 megapixels of image resolution that will surely provide you high-quality photos. It also has a 1080P for video resolution. 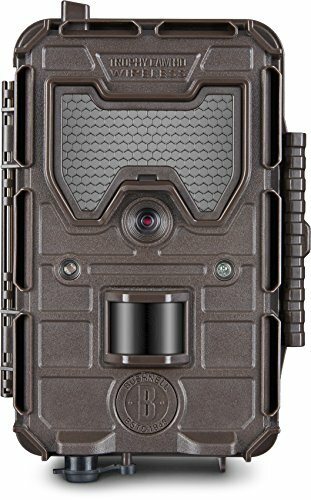 Every happening or footage of the film will not be missed as this camera has 100 feet detection range and 90 feet invisible black IR flash range. The black IR can be programmed to activate on motion and at time intervals. You can manage the camera’s settings remotely through the 3G communications. 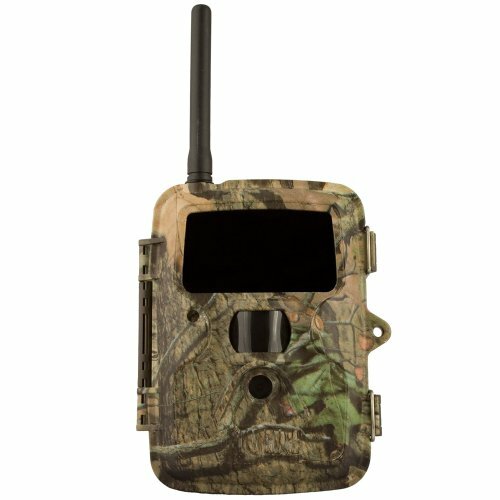 This Boly Trail Camera supports both multimedia messaging services and general packet radio service. It has native support for solar and external power options. In using this wireless camera, you just need to insert the sim card into the camera and have a service plan (ATT, go-mobile, or T-mobile data plan). It provides free mobile application available for iOS, Android, and windows. This device is resistant to water and snow, and it can withstand severe weather. The Boly trail camera has a 32GB slot for SD/SDHC memory card and has a 2-way communications to your mobile phone. Equipped with a game call broadcasting, this wireless camera allows you to set a security alarm. The no-glow infrared illumination adds up to the high-quality of the photos taken. The GPRS data transmission of this camera will help you save communication cost. The PIR sensitivity is adjustable from low, medium, and high. It is powered by 8AA or 4AA batteries. It has a very high image resolution. Offers a game call broadcasting. Native support for solar power. Transmits photos instantly to your mobile phone. The lifespan of the camera only lasts for a few months. Only works in the USA and Canada. Spartan HD GoCam provides convenience to you as it is easy-to-use. You just need to activate the sim card service to a website, and you can already use the camera menus to set your desired picture parameters. The camera has a setting to overwrite the oldest pictures on the SD card. It also allows you to set two duty periods at different trigger time intervals and time-lapse settings. This applies if you do not want the device to take pictures all the time. Spartan HD GoCam uses encryption for added security in transmitting photos and videos. The images can also be transferred with or without AES 256 encryption. This camera is powered by 12AA batteries; alkaline, Ni-MH, or lithium. It is a standalone installation with no wires and no required external power source. The IR LED array of this camera provides illumination to 70 feet and beyond for high-quality night images and videos. It has 8 megapixels of image resolution and 720HD for videos. The rear case of the camera has a slot for 12AA batteries that provides several months of lifespan. The cells are arranged in two bays to give an individual slot for each battery. Providing more convenience to you, this camera has a user-friendly design with 2 inches true-color LCD. It can store up to 32GB of pictures and videos with its SD/SDHC memory card slot at the left side of the camera. There are set up of the cameras that are available to your computer. The camera menus are logical and well-organized. This camera device is compatible with HCO GoWireless web and mobile portal. It has an all-in-one design and easy installation. Batteries do not require wires and external power source. The coverage is not available in all areas. Does not give proper security. The camera is not a water-resistant device. Providing a camouflage exterior and case, Amcrest ATC-1201 gives you security for any camera thieves. It can also lessen the possibility that the animals may recognize it as it blends into the tree stand. It offers 12 megapixels high-definition image resolution and 1080P for video. This wireless camera is best when used out in the wild, on a hike, or even as a security system at home. It has a 36 IR LEDs for night vision with up to 20 meters and an IR-cut filter for the real color images and videos. The camera’s automatic motion sensing has three adjustable levels. Amcrest ATC-1201 comes with a 12-button remote that works up to 9 meters away from the camera and a built-in laser pointer for the control. You can also view the images and videos on the spot with its two inches LCD screen. Offering a trigger speed of 0.7 seconds, you will not miss any crucial details that need to be captured. The full 100 degrees PIR field of view also gives you the complete and uncut footage of the area. Amcrest’s ample storage capacity can store up to 32GB by inserting an SD/SDHC memory card. By this amount of storage, you can already get to capture what you need. For the battery requirement, you can choose whether to use 4AA or 8AA batteries. The files are automatically saved as JPEG for photos and AVI format for the videos. The details that are included in the image stamp are the date, time, and moon phase. It offers three level of passive motion sensitivity; from low, medium, and high. This device is supported by the IP54 feature which gives you security during rainy seasons as it is weatherproof. Provides a superior case design. Give you high-quality HD images and videos. It has a day and night true-color quality. Has a laser pointer remote control. The remote control’s battery efficiently runs out. Battery life only lasts for months. 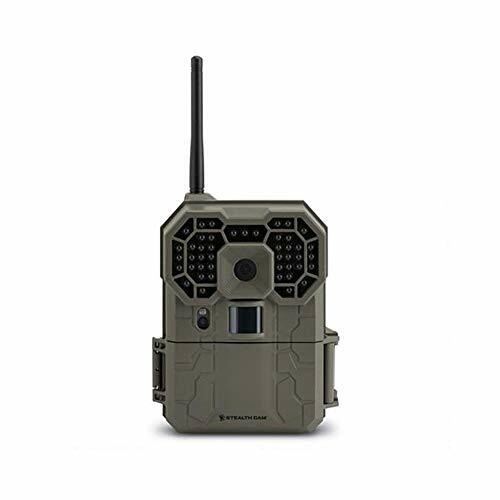 Blackhawk Covert Scouting Camera is the mobile portal where it allows you to manage the photos and command real-time response. This wireless camera is also perfect for security and property surveillance. It is one of the most aesthetically pleasing cell cameras in the market. It is accessible to all smartphones, tablet, or computer through its web portal and mobile applications. Blackhawk is a certified cell camera and has 0.65 seconds trigger speed that records all vital footage on the area. Offering an ideal flash technology, this device provides your high-quality images and videos for your documentation. It has a full coverage of the area as it allows for 100 feet of flash range. A turbo shot burst of 100 images is also one of the features of this Blackhawk wireless camera. This cell camera series gives you an advanced machine-to-machine communication through the covert wireless web portal. This feature helps you to deliver superior wireless delivery option such as weather and wind information and instant picture viewing. It has a time-lapse feature that allows you to capture photos with time intervals. This device is designed to transport the images over an approved cellular data network. The photos can be sent instantly through text messages. The pictures taken by the camera is automatically saved in JPEG format and AVI for the videos. With a slot for 32GB SD/SDHC memory card, it can store as many pictures and videos as you want. It has a full coverage of flash range. Can efficiently transmit images to smartphones. Has a lesser battery lifespan. Does not support weatherproof feature. Aside from wildlife hunting, Stealth GXW Wireless Trail Camera is also beneficial in the home security system. It efficiently transmits images and videos as it is GSM or 3G network compatible. This camera has three resolutions that add up to the quality of the images produced. You can choose between 12MP, 8MP, or 4MP of image resolution. It merges 45 black IR emitters with a 100-foot flash range that gives you no missing detail of all the footage. It provides you real-time updates through its wireless technology. Stealth GXW offers you the opportunity to receive the images taken straight from the camera to the mobile phones. As this broadcast camera gives you convenience, it requires a sim card and a data plan to operate. If you are a social media enthusiast, this wireless is best recommended for you because it can send images and videos to social media sites instantly. With a 1080P of video resolution, Stealth GXW could record high-quality HD videos. It has a time-lapse with PIR override that takes pictures with interval time. You can view the images captured on the spot with its 2.0 inches color LCD screen. It can record even the most unimportant footage as it offers 0.4 seconds of trigger speed. Enhancing the camera’s image quality, Stealth GXW provides matrix advanced blur reduction and retina low light sensitivity. These features give maximum exposure in multiple zones of angle and distance. To allow you manage the camera’s protection, this wireless device sets a standard in offering Geo-Tag GPD tagging system. It is a GSM or 3G network compatible. I can transmit images and videos to social media instantly. It only has an average battery life of two months. It is not a weatherproof device. Covert Code Black-Mossy Oak allows you to monitor the happenings within the scope of the camera without pulling the SD card on the spot. Being a wireless camera, it uses an activated sim card from AT&T to transmit photos to your mobile or email address. The 60 invisible flash LEDs adds to the quality of the images produced by the camera. Invisible flash LEDs are undetectable, and it has a flash range of 60+ feet. This wireless camera has a perfect exterior design to blend in the tree stand and for the animals to uneasily recognize it. The Covert Code Mossy Oak is not only best for wildlife hunting but is also recommended for the home security system. This device offers three image resolutions; 3MP, 5MP, and 8MP for high-quality images and videos. Aside from the images being transferrable through SMS, this device is also known for its MMS wireless ability. It provides you 2 inches color viewer for you to view pictures and videos precisely on the spot. Included in the image stamp are temperature, moon phase, date, and time. It also offers a two-phase timer switch. For you to enable to take pictures with an interval, covert code black provides time-lapse mode feature. It can store many images and videos as you can with the 32GB SD/SDHC memory card slot. With three adjustable sensitivity levels, this wireless device could give you the satisfaction that you want. Powered by 12AA batteries that last for months, it can take approximately 3000 pictures with its lifespan. It has a three image resolution options. It is an MMS wireless ability device. You can monitor the area without pulling the SD card. The images can automatically be transmitted to mobile phones or email. Can produce 3000 photos in one battery lifespan. Does not support a weatherproof feature. Producing high-resolution photos and HD videos is through the passive infrared motion sensors that work around the clock. This wireless camera can be triggered by any motion of game with its 100 degrees wide PIR sensor. Amcrest ATC-801 has a long night vision of up to 65 feet with automatic motion sensing. This camera could give you the excellent quality as it has 8 megapixels resolution for images and 720P HD for videos. It gives you the opportunity to view the photos and videos taken with its 2 inches LCD screen. This device assures you durability and reliability as it is supported by intuitive UI and IP54 casing for weatherproofing. It can protect the camera from steady rain or snow. To ensure a continuous shot, the camera is powered by an 8AA battery that lasts for three months. Batteries are rechargeable when it gets depleted for you to have a continuous shot. Armed with a trigger speed of 0.7 seconds, you will not miss any happenings of the footage within the detection range. It offers a record length of 10 seconds to 90 seconds. The ample storage capacity of this wireless camera is 32GB offering an SD memory card. Each picture taken has a delay timer of 5-30 seconds and 1-30 minutes. The images are automatically saved in JPEG format, and videos are saved in AVI. It offers a multi-shot feature where you can take a single photo up to nine pictures per shot. 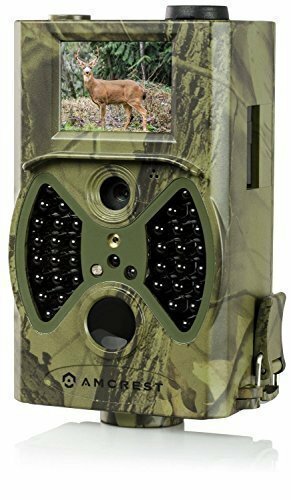 Amcrest ATC-801 is the best for hunting in wildlife and is also recommended for the home security system. It supports the weatherproof feature. This camera is durable, reliable, and easy-to-use. Offers 100 degrees wide PIR field. It is bulkier than other wireless cameras. It only offers short battery lifespan. 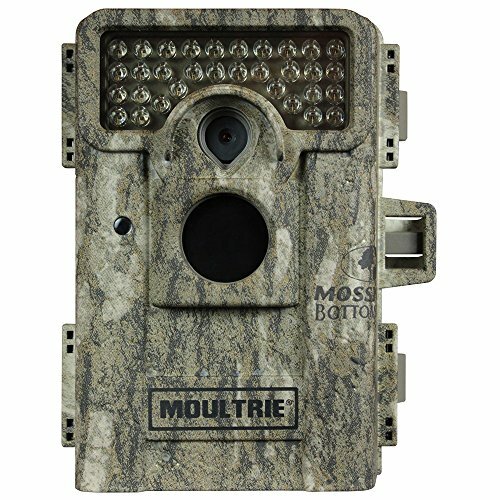 The Moultrie M-880i has all the features that you need for wildlife photography and home security surveillance. 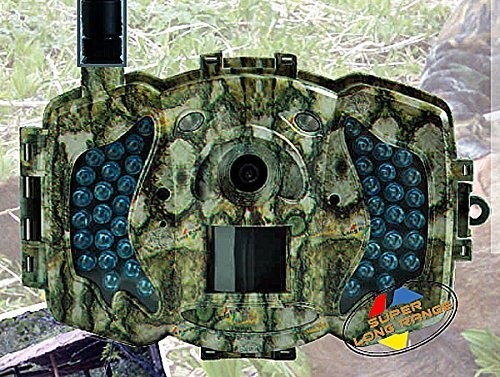 This Moultrie series is a mid-range game camera. It captures photos fast as it detects any motion from the detection area. It offers a no glow infrared and has no visible flash that can catch the animal’s attention. A detection range of 50 feet and a flash range of 70 feet with 0.8 seconds of trigger speed ensures you to film every detail of the area. M-880i can withstand any weather condition, and whether it is day or night, it could give you satisfaction for the qualities of images it can produce. This wireless camera is user-friendly, rugged, and is a robust camera. It offers a screen to display the settings so you can navigate through them. With 8 megapixels of image resolution and 1280×720 HD for video, it can produce high-quality images that suit your documentation. It offers a motion freeze setting that reduces the blur effect during nighttime shots. Moultrie M-880i supports Eye-Fi branded SD card that allows it to connect to a Wi-Fi network. It can upload photos automatically on the internet and is armed with a digital security lock. It has three operational modes; motion detects, time-lapse, and hybrid mode. With the multi-shot feature, it can capture three images per trigger. This device is powered by 8AA batteries and you can also place a rechargeable cell. With the 8AA batteries, it can take 13,500 photos with its lifespan. It offers Eye-Fi feature to connect to a Wi-Fi network. Can withstand any weather condition. Has a digital security lock. There is something wrong with the infrared flash. Provided with 12-megapixel image resolution and 1080P for video, Annke Wireless Trail Camera keeps a good quality of images during day and night. It gives you an efficient result of shots whether you are in wildlife setting or the backyard. There is three image resolution that the camera offers; 12MP, 8MP, and 5MP. The advanced PIR sensor is apparently working well that it can detect any body temperature. In which, it allows you to monitor wildlife without you spooking them. It has a lightning-fast trigger speed of one second that you will not miss any footage of the film. The time animals are detected, the device will start recording automatically. Included in the image stamp are date, temperature, time, and moon phase. It is perfect for day and night vision as it offers smart IR cut full automatic switch. Supported by an IP54 feature, Annke Camera is a weatherproof device that can withstand any weather conditions. It provides you 2-inch color LCD screen where you can instantly view the images on the spot or delete it whenever you want. It can be secured with four digital PIN code. It has triggering interval of one second to 30 minutes. The images are saved automatically in JPEG format, and videos are in AVI. This device is also recommended for observing the life cycle of plants as it offers flexible photo interval setting. This camera is supported by 32GB SD memory storage that can store images as many as you can. Powered by 8AA batteries, its lifespan lasts up to six months. It has an ultra-low standby power current up to 0.2 mA consumption. It is weatherproof and durable. It has a high sensitivity PIR detection. The set-up is complicated and not user-friendly.